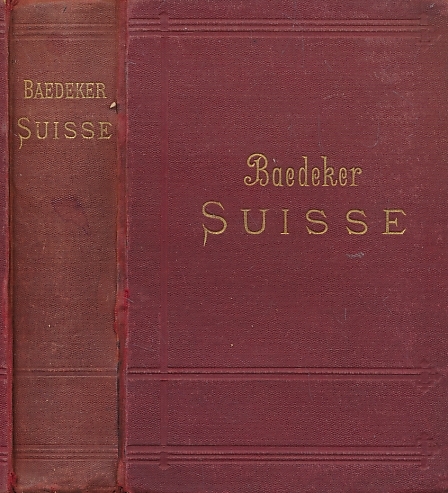 Barter Books : Baedeker, Karl : La Suisse et les Parties Limitrophes de l'Italie, de la Savoie et du Tyrol. Manuel du Voyageur. [Handbook for Travellers]. 18th edition. 1891. 39 cartes 11 plans 12 panoramas. 160 x 110 mm (6 x 4 inches) - xxviii, 524pp + maps. Worn condition. Cover heavily rubbed. Inner hinge cracking, Page edges browning. Some foxing. Content in overall good condition.